Dr. Darien Lawrence became Board-Certified by the American College of Veterinary Surgeons in 1993. She is interested in, and skilled in, all aspects of orthopedic and soft tissue surgery as well as in neurosurgery. After her surgery training, Dr. Lawrence was a faculty surgeon at both the University of Florida College of Veterinary Medicine and the University of Sydney Faculty of Veterinary Science in Australia. She was then in private surgical referral practice in Sydney for 3 years before returning to Florida to establish her surgery practice here in Brevard County in 1999. 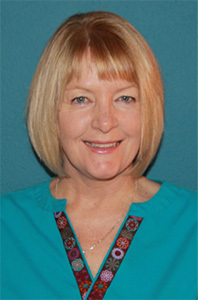 Dr. Lawrence received her veterinary degree from Massey University in New Zealand. She completed an internship at the University of Guelph in Canada and a small animal surgery residency at the University of Florida. During this time she also completed a Master of Science degree in Comparative Pathology. 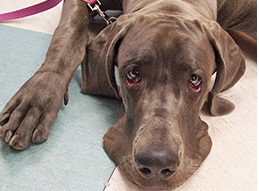 She is trained and certified to perform the PennHip distraction radiographic technique for early diagnosis of hip dysplasia. Dr. Lawrence also has additional training in the TTA and TPLO procedures for cranial cruciate ligament surgery, STEM-cell therapy (VetStem and Medi-Vet), Arthroscopy and is a Certified Canine Rehabilitation Therapist. Dr. Lawrence has several cats that were rescued and repaired before they went to live with her. The cats have a tropical aquarium for their entertainment. If your animal develops a problem or injury requiring advanced care and procedures, your primary veterinarian or emergency room veterinarian may refer you to a veterinary surgeon. During the residency there are specific training and caseload requirements that must be met. In addition to these requirements, applicants must perform research that is published in a scientific journal and then pass a rigorous examination. in addition to having advanced surgical training, ACVS Diplomates also have access to state-of-the-art facilities, equipment and support staff that may not be available to your primary veterinarian.